Laurie’s passion for God’s Word was ignited many years ago when she enrolled in an in-depth (Precept) Bible study that changed her life. Encouraged by the older women who led the study, Laurie received training and began teaching a group, and the Lord has been opening doors for her to teach and speak ever since. Need a speaker for your event? Invite Laurie! 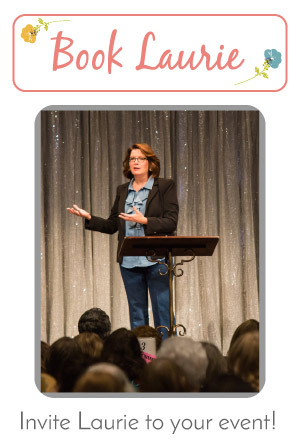 Find out more about her speaking topics, her schedule and availability, or contact her now.